What determines the price of airbrushing ? Airbrush is a time-consuming and complicated process technique, requiring an artist with specialized skills. 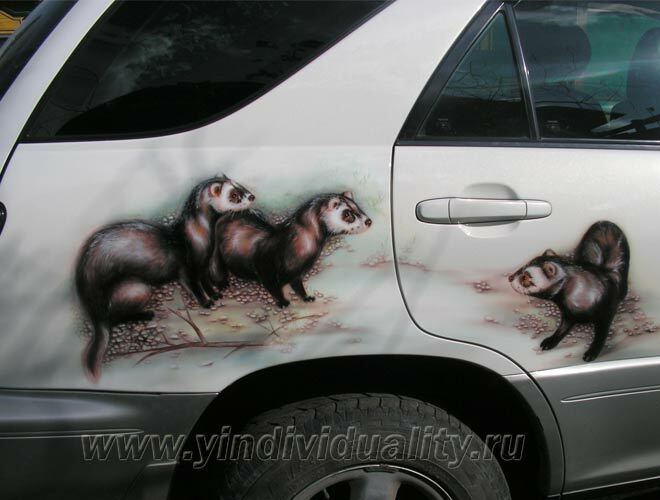 The cost of airbrushing depends on many factors such as the condition of the car body, the complexity of the drawing, and the paints and colours used. The complexity of the pattern may require a large number of customized colours, specialized paints and affects such as chameleon or mother of pearl. There are also costs for the consumables. The use of special high quality materials can offset the adverse effects of sunlight, moisture, temperature differences and salt from the roads. The price of such materials is much higher. Furthermore, prior to creating the artwork, the vehicle must go through a stage of preparation. It includes preparation, painting, and sometimes repairs and bodywork. After the application of the airbrushing, polishing and protective clear coatings are also required, which can significantly affects the price of the finished airbrushing. . But do not say "I can not afford it." Airbrushing prices are pretty reasonable. Additionally, you can choose your design with regard to the price, when you are planning the reincarnation of your car. Believe me, admiring looks, a sense of comfort and uniqueness are well worthwhile. 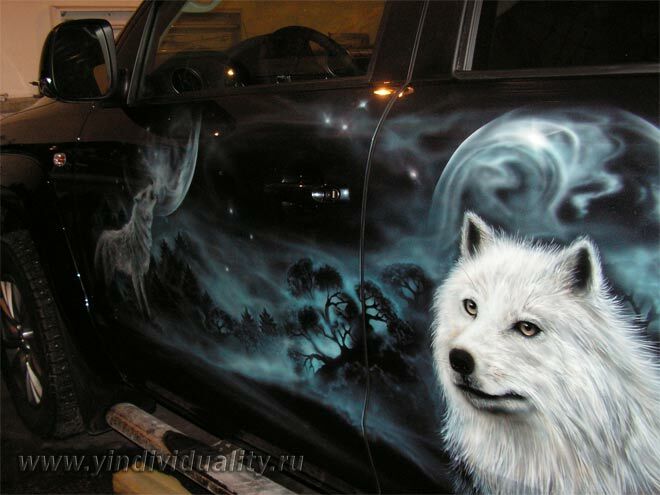 Keep airbrush art in mind before painting a car, to gain discounts. A lot of time and preparation effort is saved. 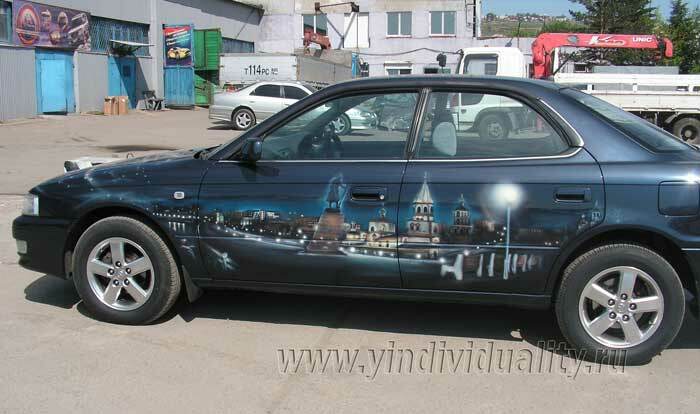 If you combine the repainting of the car, along with your artworks, the airbrushing will be much cheaper. The basic cost of an airbrushed artwork includes design, preparatory work, lacquering, and materials. The price will be about 2500 rubles depending on the complexity of the drawing. The exact price can only be determined after inspection of the car by the car specialists, and after your approval of a sketch of the airbrush design. If you already have your own sketch, the price determination takes 15-20 minutes.